Why miffins? Well, instead of admitting to a typo (me?! Never!!! ), mini muffins are now known as miffins in our house! As a general rule, I am not a fan of baked banana goods. Give me a real, fresh banana any day. 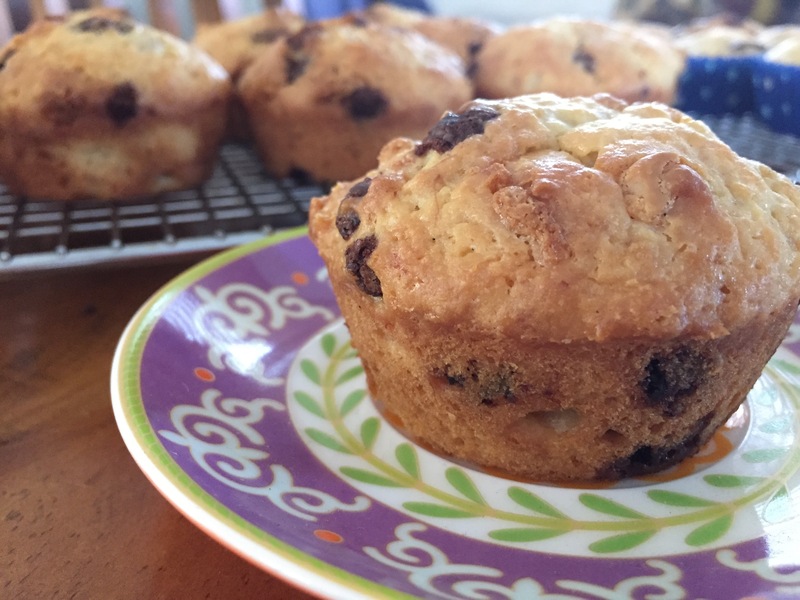 But these muffins are chocolatey and banana-ery without having that typical banana bread taste. It may be the sour cream? I don’t know, but I’m not complaining! It’s a great way to use up those sad looking bananas that sit in our fruit bowl all on their own and just know they aren’t going to be eaten. Place flour, baking powder & sugar in a bowl. In another bowl, whisk together sour cream, eggs & oil until combined. Fold into the flour mixture with the banana & chocolate, stirring until just combined. Spoon mixture into well greased muffin tray, bake for 25 minutes or until golden brown. 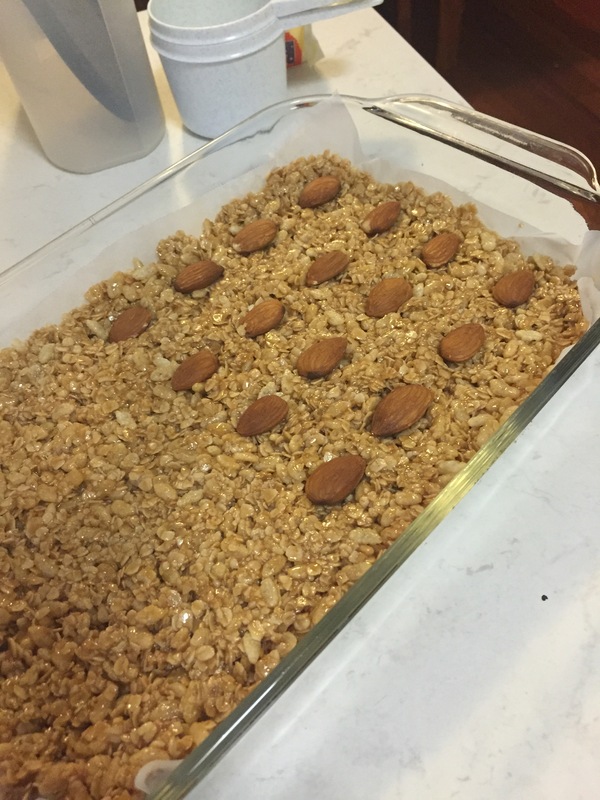 Allow to stand in the tray for 5 mins. Using 2 large bananas as opposed to the 2 small bananas as listed in the ingredients doesn’t make a difference to this recipe. I always add more choc chips of any colour, it wouldn’t be right if I didn’t! If I have only a bit of sour cream left in the container, I add that in too. Doesn’t seem to make any difference to the end result. For me, these muffins stick to paper muffin pans so I generally use the silicon ones if I need them in patty papers for these. This rainy weekend, I decided to try a couple of new recipes for snacks and lunches for the Clowns for the coming week. 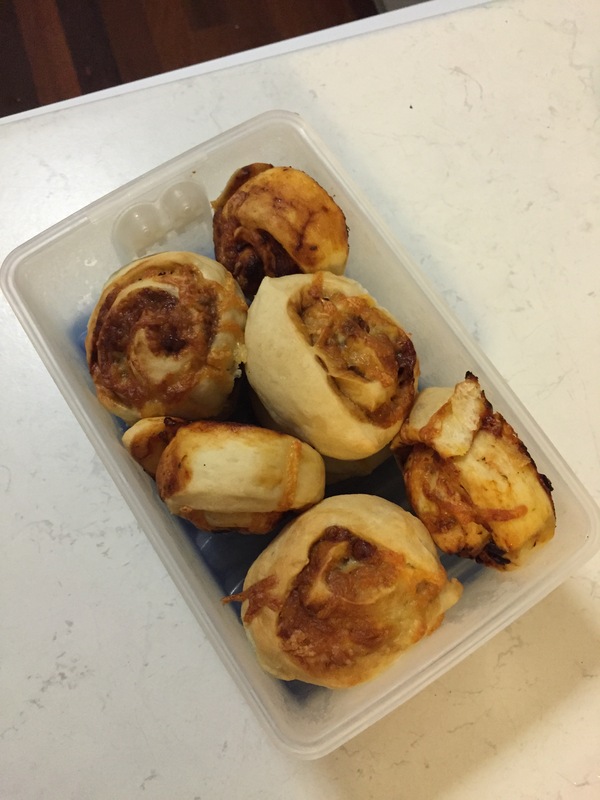 Firstly, this bread recipe from The Road to Loving my Thermo Mixer, which I made into Vegemite and cheese scrolls. I also made a few with tomato sauce, Italian herb mix and some grated cheese. Just for a bit of a change from the Vegemite. Definitely a winner, but will use pizza sauce for a bit of extra zing next time! 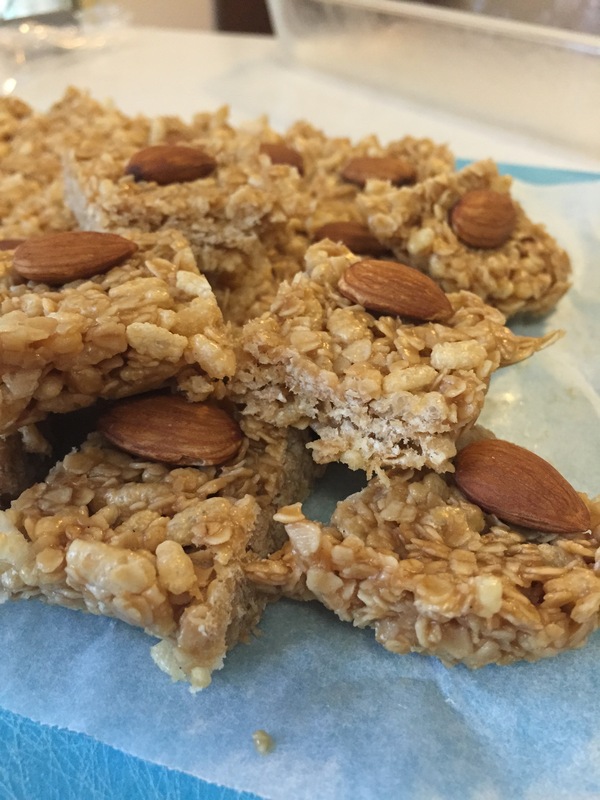 Secondly, I tried these Honey and Almond Energy Balls from Make It Fake It Bake It. Except I was super lazy. I make it into a slice and cut it into bite size squares instead of rolling out little balls. I also didn’t add the almonds to the mix, we have one Clown who doesn’t like almonds. I just added them to the top of half the ‘slice’ so everyone was happy happy joy joy! Winning!! On a serious note…. I haven’t been able to stop eating this stuff. It’s just the right about of peanut buttery sweetness and that pop of crunch… Ahhhhhmazing!!! And too easy not to make! This Bacon Jam is one recipe that is on my To Try list…. mmmm Bacon Jam… Seriously delicious! Like, spoon out with your finger from the jar type deliciousness…. Am I drooling? Probably….!! * warning : there are a lot of shouty words in this post. I tried not to, but couldn’t help myself. 6000 new and improved words to add to your vocabulary! Any who….! Back to what I actually wanted to talk about!! We have all three clowns at school now. 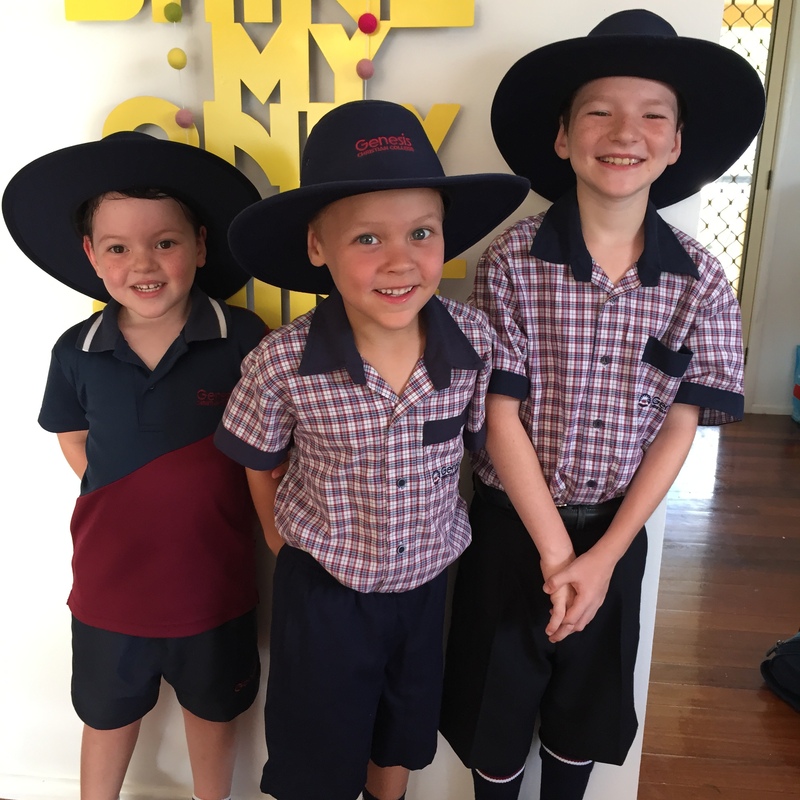 Prep, grade one and grade four. And it’s been a bigger adjustment for this mum than I probably care to let on. But this is the place to talk of all things, no matter if they are the good, the bad, or the ugly… So let’s get on with it, shall we?! Ella going into prep? The child I ever so confidently thought would BREEZE through that classroom door everyday, from day one. Yeah, well. That didn’t happen. She obviously didn’t get the memo. How can you go from practically owning the Kindy, to digging your heals in AT THE DOOR on most days, because you just DO NOT want to go to school? I don’t get it. And because I am a mean mum, I leave her there. In the care of a wonderful teaching team and she has an awesome day. Every. Single. Day. This child is doing my head in. Grade one is just plain HARD. Hard classroom, hard homework, hard playtime, hard swimming lessons. You get the picture. Life is just hard for the middle child. And Reuben will tell anyone who will listen (or not, he’s not picky) all about his predicament that doesn’t seem to be changing to his liking. I can’t get over how much his reading has improved in just a few short weeks of grade one, even though it’s all so HARD. I think once he gets over himself, grade one will be fantastic everyday, not just on PE days. Owen is loving grade four. The extra responsibility and independence you are allowed once you hit grade four is significantly different to grade three. And the teachers let them know just WHO is responsible, too. And that person is not me, or Marc. It’s the kid. It’s all Owen. And that has been GOOD. Excellent for him. He doesn’t need to be reminded (too much) about what he needs to get ready for the day, or what uniform he needs to wear, whether it’s homework day etc etc. I only hope that this new enthusiasm and responsibility lasts the whole year. I have my fingers and toes crossed. The workload he brings home however, is MASSIVE. I really do feel for those parents of kids who don’t or wont do their homework. Thankfully, Owen just takes it in his stride, and buckles down and just gets it done. I have heard of parents having to bribe their kids to do homework or read or practice their spelling words. So glad we haven’t had to resort to these measures. Although, if you had of asked me two years ago, I would have jumped at the chance to try anything and everything to get him to do his homework without fighting about it!! Marc has started a new role. Which means more travel. More time at the office. More meetings. More of everything. Which is great, really it is. He revels in the challenge. We, the other four, however are used to him being home more rather than less and not having to go away so much. We have been spoilt these last couple of years so now we adjust accordingly. Dinner times are sometimes Dad-less. Nights are sometimes Dad-less. But that’s OK. We can handle it! Some days ‘handling it’ requires more m and ms or an extra coffee… But that’s OK too. See? Adjustmenting is a perfect word to use here! We are all trying to go with the flow and fit everything in and adjust accordingly. Hi, my name is Meegan and I am a Pinterest addict. I am sitting at the computer, fresh vanilla latte in hand, the washing machine is telling my I have 38 sweet, sweet minutes before it demands my attention. So what do I do? START PINNING! Emails that have been staring at me for a few days? Replying to text messages and Facebook? That (and catching up on Lost Girl) is all I really want to do for those few short 38 minutes. It’s a disease, I tell you! So what have I been pinning, I hear you ask? Well, everything. New dinner ideas, Thermomixing (is so a word. I just added it to my dictionary, so it must be!) inspiration, things to help my three clowns with their homework and to keep the younger two occupied quietly while the biggest is still going on his school work, exercise tutorials, crafting things, inspiration for the house… So much!! You can follow my pinning adventures, there it a button up on this blog to come see what I’ve been pinning. I also share a few things on the Harvey Circus Facebook page. If you don’t already, come follow me on FB!